The Wellcome-HRB ICAT Programme hosted its first annual scientific retreat in the coastal town of Malahide near Dublin in November 2017. The theme for this year’s retreat was ‘Careers in Academic Medicine’ and several illustrious speakers shared their experiences with the ICAT Fellows. Guests included Prof. Sir Stephen O’Rahilly, a Professor of Clinical Biochemistry and Medicine at the University of Cambridge and Fellow of the Royal Society, who gave an inspirational talk about his career in medicine and his research into metabolic and endocrine disorders, Prof. Caroline Sabin, a Professor of Medical Statistics and Epidemiology at University College London, who spoke very entertainingly about founding and managing multicentre studies of HIV-positive individuals across the UK, and Prof. Brian Walsh who spoke about his recent journey through a structured PhD programme (the MMI Clinician Scientist Fellowship Programme) and how that has impacted on his career in neonatology. ICAT Programme Retreat 2017v1 from CRDI on Vimeo. A highlight of the retreat was an interactive ‘fireside chats’ session, with two clinician scientists (Prof. David Williams a Professor of Geriatric and Stroke Medicine at the Royal College of Surgeons in Ireland and Prof. Aoife Lowery an Associate Professor and Consultant Surgeon at NUI Galway) engaging in lively discussions about their careers and debating the status of healthcare research and careers in academic medicine in Ireland with Prof. Luke O’Neill of Trinity College Dublin. This session was particularly useful for the trainees from the Academic Track for Internship in Ireland and Academic Foundation Doctors from Northern Ireland who were invited to the retreat to meet the ICAT team and to encourage their interest in careers in academic medicine. 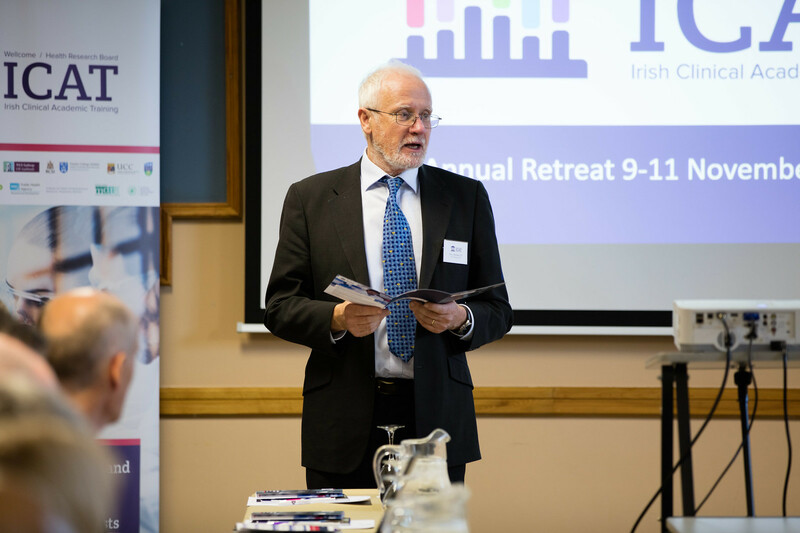 Other sessions included gender equality in science and medicine, innovation in healthcare and presentations on the research funding landscape in Ireland by representatives from the Health Research Board, the Irish Research Council and Enterprise Ireland. The focal point of the Retreat was the presentation of PhD proposals by ICAT Fellows who are currently in year 1 of the programme and who benefitted from the advice offered by the audience of experienced scientists and clinicians. 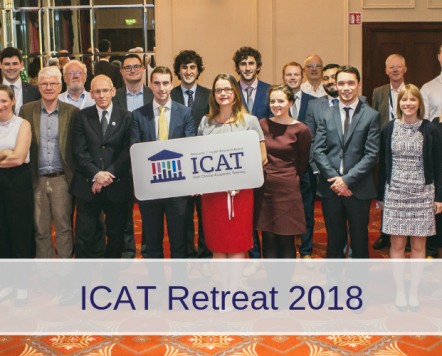 The Annual Retreat is an occasion for the ICAT community to gather together and to advise and encourage the ICAT Fellows who are embarking upon their careers in academic medicine. 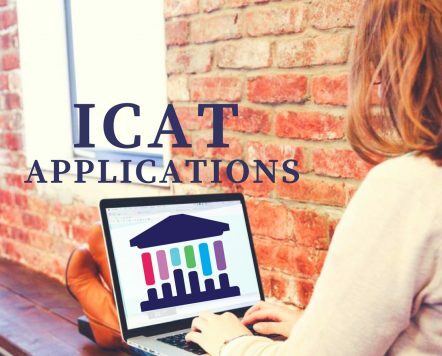 It is also an opportunity for the ICAT Team to reﬂect on its progress with input from members of the International Advisory Board who generously offer their time to the ICAT Programme. The Retreat was an enormously enjoyable occasion with a convivial atmosphere and the organisers would like to thank all of the participants. 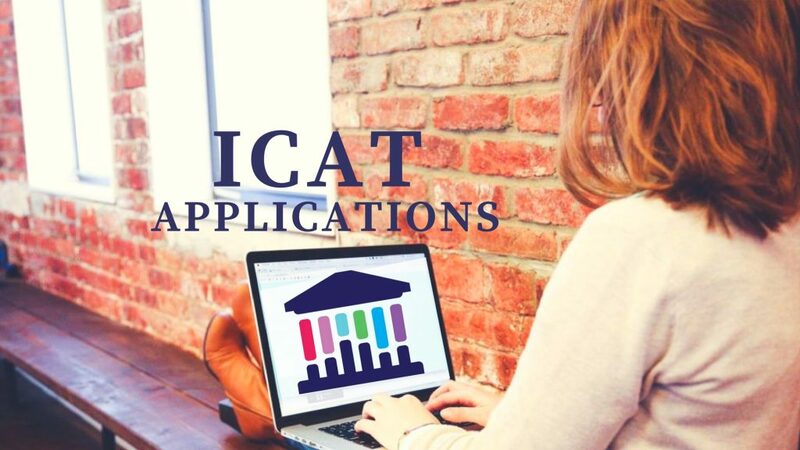 ICAT organises several other events throughout the year for the Fellows, including an annual induction event in July and monthly meetings hosted by each participating academic institution across Ireland.